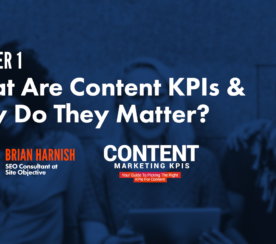 Content KPIs: Are You Measuring Your Content Correctly? Too often we find ourselves producing content piece after content piece without ever once defining what the goal of the content is. If you’re about to create a new piece of content and haven’t yet asked yourself why you’re creating this content, do so and do it now. What goal will this content help my brand reach? Will this piece of content accomplish anything measurable for my brand? Who is going to care about this piece of content? Are they going to care enough to engage? How will I know that this piece of content was a success? What metrics will I measure? What’s the most cost-effective way to produce this content? Did your answers align with company goals, strategies, and budgets? It should, and if it didn’t you’ll need to scrap the idea and move on to a content piece that will align. Just producing content isn’t enough. 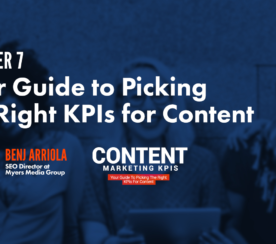 Sure, 88 percent of marketers integrate content into their marketing strategies, but more than half of marketers are struggling to measure the content they produce. How then do we know if the content is even working? 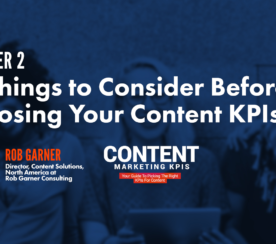 Let’s look at some of the top key performance indicators (KPIs) that you can measure for blog posts, podcasts, case studies, and webinars to see if your content is working. How much time are readers spending on your blog? Is it in the tens of seconds or minutes? This can range dramatically depending on your blog lengths. If the average word count of top-ranking content in Google is between 1,140 to 1,285 words long, you’re going to want your time on page to be closer to minutes and not 5-10 seconds. Time yourself and see how long it takes you to read this blog post. Then, time yourself again but briefly skim the blog post. 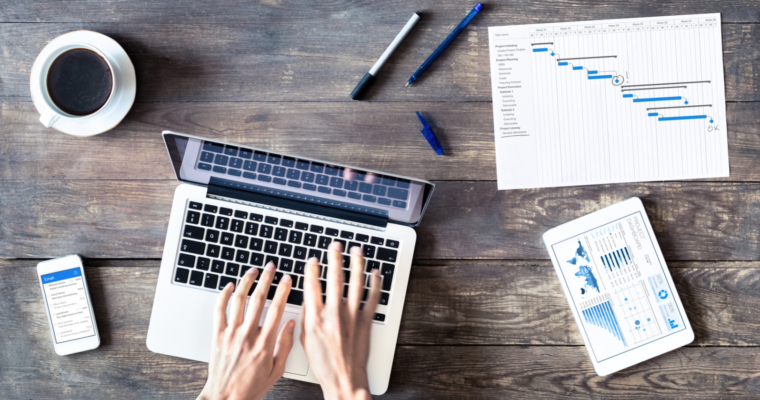 Even with skimming a blog post of 1,000+ words, you’re going to leave a reader on the page for at least 40-50 seconds as they digest headlines, keywords, and comments. Where is the traffic coming from? Are most of the users searching for keywords that your post has? Are they coming from another website and clicking on a link to your post? You can measure your website traffic analytics using tools like Google Analytics, Majestic, SEMrush On Page SEO Checker, and Google Webmaster Tools. Gaining new subscribers on a podcast is a big accomplishment. These new subscribers mean your doing something right, that they actually like listening enough to subscribe to future episodes. Plus, once a listener subscribes, they remain pretty loyal to your podcast. The average podcast listener digests five shows per week and subscribes to just six. Once a listener has found a podcast they enjoy enough to subscribe, they stick around. Which is why subscribers is the most important metric to measure when producing podcast content. You can measure this by seeing the number of subscribers in iTunes or on your podcast website. Podcast downloads are the next most important metric to measure for podcast content. Not everyone wants to commit to subscribing, but they will commit to downloading episodes and listening offline. Podcast producers can use download metrics to gain new advertisers to support the show, which is great for revenue building. These metrics will also inform producers which podcast episodes generated the most downloads and be a deciding factor when developing new episode ideas. You can find download metrics through your podcast software and through tools like Blubrry Media Statistics and RawVoice Media Statistics. If people aren’t listening to your entire podcast or worse listening to only the first few minutes, then there is something wrong with your podcast content. You either aren’t talking about what the title projects, or what you’re talking about isn’t entertaining enough for listeners to stick around for the entirety of the episode. Podcasters find this happening the most when they have an excessive amount of ads playing. Too many ads push listeners away, just as having the wrong guest can turn a listener off. Over the summer, Apple announced changes to the Apple Podcasts app that lets creators track aggregated data about when listeners start, stop, and skip a podcast episode. Is your case study being shared on social media? Is it getting the attention and publicity it deserves? In order to quantify ROI on your case study, you need to be able to measure how much it is being shared and the number of new eyes it’s gaining. You can measure this using social media analytics and tracking the number of social shares from the page. By embedding social share tools to your case study results page, you can track how many people are sharing it and follow the conversation. Note: Not every case study conversation is going to be positive. Keep track of which case studies produce argumentative results over positive results. This will help you gauge which type of content to produce for future studies, as well as which ones produce the most commentary and engagement. With case studies, you want to track the amount of press your brand receives thanks to the study. If a case study is really popular, the brand behind it benefits tremendously and gains multiple new brand mentions throughout the digital space. Track brand mentions using tools like Mention, SumoMe, Brand24, Buzzsumo, or Klout. This will help you stay on top of the conversation created by your case study and measure how much your brand is mentioned from this piece of content. Similar to blog posts, time on page and website traffic are metrics you’re going to want to measure for case studies. They act as blog posts and generate new traffic to your page, as well as help decrease bounce rates, increase page views to other pages, and generate new visitors. Use the tools we discussed above to measure your case study time on page and traffic to help measure how successful the case study is. The number of people who register for your webinar is a good indication of how successful the webinar is going to be. If only 5 to 10 people sign up and your goal is 100, the webinar topic might not be a good fit for your demographic. A low registration count can also be due to how the webinar is promoted. Spread the word about the webinar through multiple distribution channels like social media, email newsletters, blog posts, and paid media. It could also be a result of the signup page. If you have a high amount of pageviews but a low amount of registrations, that’s a big indicator that the landing page isn’t doing its job. Measure the success of your webinar registrations by the results of the conversions from page views to actual registrations. A high registration number doesn’t mean a high attendee number. Webinars are easy to sign up for, and people sign up for them a lot. The industry average for webinar attendance is only 30 to 40 percent of registrants, though. There are dozens of reasons why the attendance percentage is so low. Some forget they signed up, signed up for too many in one week, or a schedule conflict happens and they can’t attend the webinar. Sure, you have the lead information but the attendance metric measures how many people actually attended and engaged with the webinar to create a warmer lead. Measuring at what point people left the webinar will inform you how short or long to make the webinar, as well as if the webinar topics are working. Attendees who only stay for the first five minutes and bounce off tells producers that the intro was not captivating or what you’re talking about isn’t what they signed up for. If they’re only sticking around to the half-way point, then those metrics explain that the webinar is either too long, too boring, or just too much info on one webinar episode.